Upgrade the sound of your display's audio with the LG SL10YG 570W Virtual 5.1.2-Channel Soundbar System. It delivers up to 570W of total power, which includes a 220W wireless subwoofer for enhanced bass. Two up-firing speakers built into the soundbar enable overhead sound effects for Dolby Atmos and DTS:X object-based audio. Bluetooth is built into the soundbar for pairing with other Bluetooth-enabled devices, such as smartphones or tablets. Once paired, you can wirelessly stream audio from your connected source. At 56.8" wide, the SL10YG is recommended for displays 55" and larger. 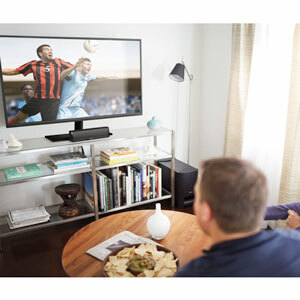 The soundbar has optical and two HDMI inputs for connecting wired audio sources to complement the aforementioned Bluetooth connectivity. Wi-Fi and Chromecast built-in are also onboard, as well as the Google Assistant for voice control. An optical cable, soundbar wall mount bracket, and remote control are included for added convenience. Onboard Bluetooth 4.2 connectivity lets you connect your compatible TV or mobile device wirelessly. You can also connect the soundbar to your compatible TV via LG Sound Sync. Enjoy a full home theater experience when passing through HDMI signals from an external source, such as a 4K Blu-ray player or streaming device. The SL10YG has the Google Assistant built-in, so you can simply say "Ok Google" to give a command to control the soundbar, your entertainment, and your smart home devices. Cast your favorite music wirelessly from your phone's streaming apps, such as Pandora or Google Play Music. You can even group Chromecast-enabled speakers together for a whole-home audio experience. Dolby Atmos surround sound technology dispenses with channel-based coding in favor of more advanced object-based coding, giving the sound designer the ability to precisely place sounds anywhere in the 3-dimensional space. 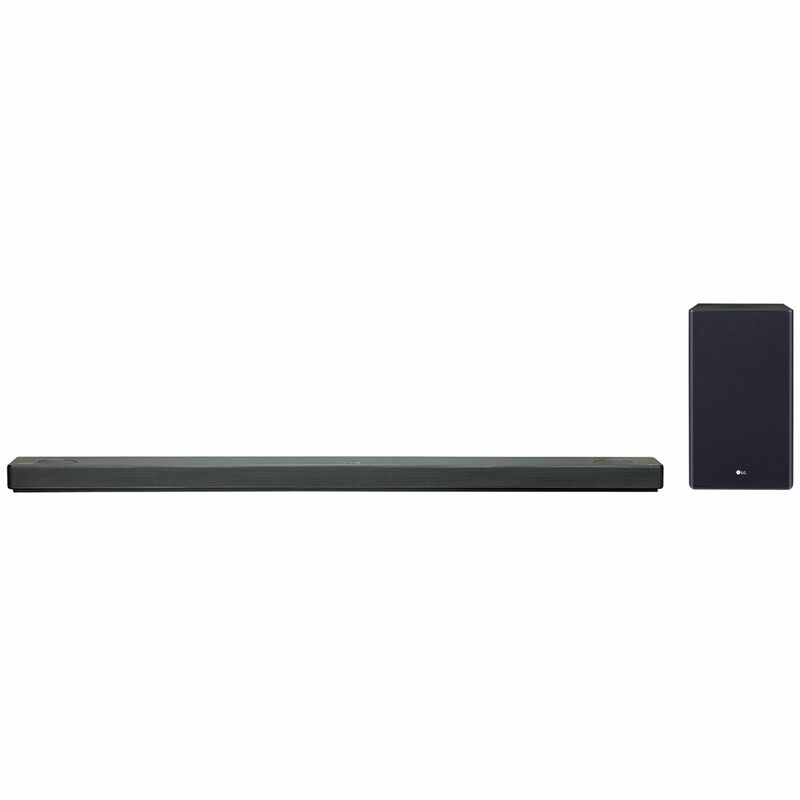 The SL10YG soundbar has two onboard side-firing surround channels and two Dolby Atmos-certified up-firing speakers in addition to its three forward-facing channels. DTS:X decoding delivers multi-dimensional surround sound that adapts to your speaker configuration in real time. Sound is positioned precisely around and above you thanks to object-based audio decoding. LG partnered with Meridian Technology to combine their signal processing and hardware designs to help create a broad sound field. The onboard processor provides enhanced sound quality for Hi-Res Audio sources up to 24-bit/192 kHz. 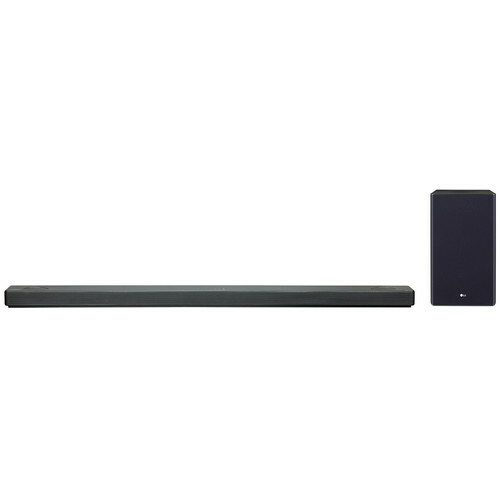 Expand the soundbar system to a true surround sound setup with an optional SPK8-S system, which includes two rear speakers and connects to the soundbar system wirelessly. what is the difference between this and sk10y? Really very little, except this new model is slightly more powerful.